Their job is to give hands-on medical attention to endangered wildlife in East Africa, but Gorilla Doctors also find themselves negotiating with armed rebels and studying deadly viruses, according to a recent National Geographic feature. 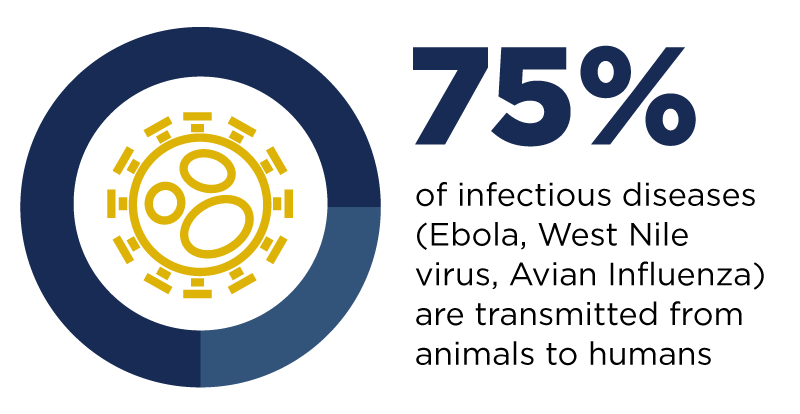 Get more information about how UC Davis is helping protect wildlife and people from disease. “Meet the Vets Risking Their Lives to Treat Wild Gorillas” tells the story of a team of veterinarians and researchers dedicated to treating mountain and eastern lowland gorillas in national parks in the Democratic Republic of the Congo, Rwanda and Uganda. Founded in 2009 to save the species from extinction, Gorilla Doctors is a partnership between the Karen C. Drayer Wildlife Health Center in the UC Davis School of Veterinary Medicine and the Mountain Gorilla Veterinary Project. The wildlife veterinarians approach the health of their patients with a “one health” perspective, with the philosophy that the health of one species is tied to that of its entire ecosystem, including humans. That’s why the 15 Gorilla Doctors also double up as disease surveyors. The team tracks regional diseases and studies how to prevent viruses from affecting gorillas and nearby communities. In fact, they are contributors to the global disease detection and discovery program PREDICT, headed by UC Davis veterinarian Jonna Mazet. If a virus spreads into areas where the Gorilla Doctors work, they’ll be the first responders to identify its source and contain the disease. For instance, Gorilla Doctors working in the Virunga National Park of the Democratic Republic of Congo are investigating the spread of the Ebola virus in gorillas and surrounding human communities by examining animals who carry the disease and conducting tests on local meat. 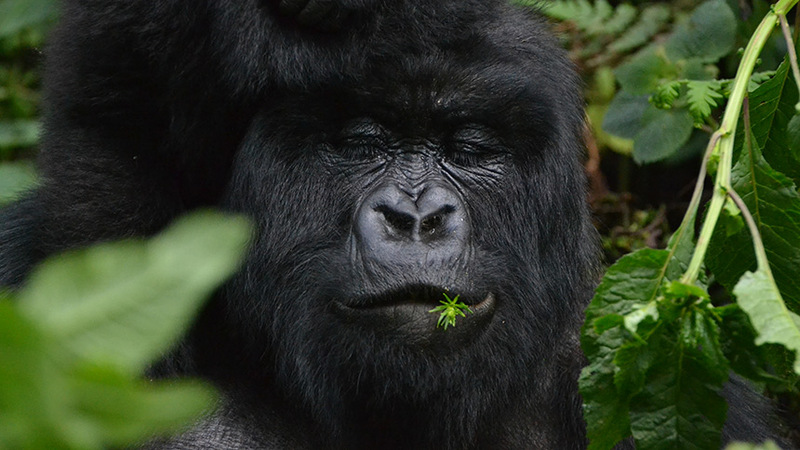 Many of the diseases detected in the gorillas, like Ebola, are also shared by humans. Earlier this year, Gorilla Doctors detected a herpes virus in the mountain gorillas that is very similar to a virus found in humans. But diseases aren’t the only obstacle Gorilla Doctors face in the Virunga jungle. Despite security enforcements, Virunga is riddled with armed rebel forces who have blocked the doctors’ paths to their patients. The Democratic Republic of Congo is still recovering from a conflict known as Africa'’s first world war, which led to some 5 million people dying between 1994 and 2003. Even today, many eastern areas of the country experience violence while rebel groups operate there. To access the gorillas, the doctors have had to negotiate with the rebels. They are often dispatched on rescue missions to save captured gorillas from poachers, according to the National Geographic story. Despite regional conflict, mountain gorillas have bounced back from extinction, and the species has reached a population of 880. Most of the species’ growth can be attributed to increased tourism, government intervention and the veterinarians’ work. UC Davis has a historic connection to the effort to save gorillas in East Africa. American primatologist and conservationist Dian Fossey was a pre-vet student at UC Davis before transferring to San Jose State College. Devoted to gorilla conservation, Fossey hired the first gorilla doctor, veterinarian James Foster, to join her research station in Rwanda a few weeks before she was murdered in 1985. The culprits have never been apprehended. You can learn more about her life in the movie Gorillas in the Mist.